The church is built on a cross-in-square plan with a large dome supported by squinches defining an octagonal space. In the 11th and 12th centuries it was decorated with superb marble works as well as mosaics on a gold background, all characteristic of the 'second golden age of Byzantine art'. 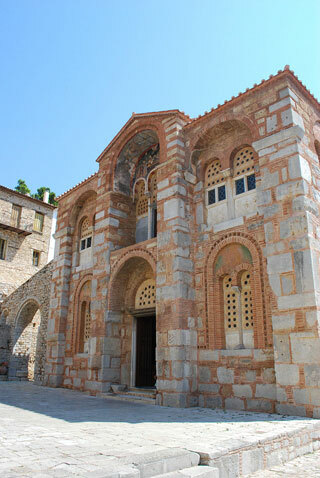 This article uses material from UNESCO World Heritage List article "Hosios Loukas", which is released under the Creative Commons Attribution-Share-Alike 3.0 IGO License.